As the government prepares to trigger Article 50, what are the key areas that will need to be dealt with in the Brexit negotiations with Europe? Click on the links below for more detail. For the future of the economy, there are two intertwined issues at the top of the "importance" league table. First, the type of trade deal Britain secures with the European Union following Brexit. In economic terms, the more "frictionless" that relationship, the better. Studies by the National Institute for Economic and Social Research suggest leaving the single market could lead to a long-term reduction in total UK trade with Europe of between 22% and 30%, unless Britain signs exactly the same free trade deal as it has now (which many in the EU have made clear they do not support). That stark fall in trade - and therefore in the creation of growth and wealth in the economy - reflects the fact the single market is a comprehensive trade agreement aimed at reducing tariff barriers within the EU (the UK's largest export market). Image caption Will Brexit undermine the City of London's global pre-eminence? But, as importantly, the single market also seeks to reduce "non-tariff barriers", the rules and regulations governing issues such as safety certification and licensing of goods and services provided across borders. For an economy such as Britain's, driven by services such as retail and finance, non-tariff barriers are very important as well as very complicated. The government believes some of that trade impact can be offset with new free trade deals with countries outside the EU, such as Canada and the US, but they may take a while. Watch the detail closely - the UK's future trade deals will be key to the future performance of the economy. The other issue is immigration and, more precisely, labour mobility. Businesses that operate internationally often need to move key staff in and out of the country as seamlessly as possible. And sectors such as agriculture and food preparation and delivery rely on thousands of EU workers. Freedom of movement rights across the EU - which help many businesses operate - are one of the red lines for Theresa May. She has responded to worries that immigration is too high and cheaper workers from Central and Eastern Europe in particular have undermined employment opportunities and pay for British workers (although, with the economy approaching full employment, there is little actual evidence for this). How "porous" the UK's borders remain to labour mobility will be an important factor in the health of its economy. The prime minister sees controlling immigration as a red line in the Article 50 negotiations, but whether the end of free movement will see a sharp fall in European migration to the UK once it leaves the EU is much less clear. Ministers recognise an immigration "cliff-edge" would be problematic for social care, health, construction, hospitality and agriculture, sectors, that currently rely on significant numbers of EU migrant workers. It is suggested the UK might negotiate transitional arrangements lasting several years after Brexit. How and for how long such arrangements might operate will be a key question in the Article 50 talks. The government has said it will work with UK businesses to devise new immigration rules that allow them "to continue to thrive". This is likely to mean a visa system, similar to the one already used for non-EU migrants. The independent Migration Advisory Committee could be given the role of recommending how many visas should be issued to EU citizens working in different sectors. The government will also need to negotiate how UK citizens can access jobs within the European Union, an existential issue for some businesses once free movement rules end. Immigration rules apply to more than workers, of course. The prime minister has said she is hopeful the rights of all EU citizens resident in the UK and UK citizens in the EU can be quickly resolved, although exactly the question of who retains residency rights may not be so straightforward. Mrs May has reiterated her commitment to reducing net migration to the tens of thousands, but her government appears to be managing expectations that this can be achieved as quickly as some imagine. The number one business concern is failure to agree a trade deal on preferential terms with the UK's largest market for goods and services. The limit of two years is seen by most companies as either pretty tight or impossible. Failure to get it done may mean extra costs and red tape that would make UK companies uncompetitive. Some sectors are more vulnerable than others. The UK car industry is connected to a Europe-wide supply chain that sees components travel to and from the EU several times and be delivered just in time for assembly. Tariffs and border hold-ups could seriously hamper that process. The European financial services industry is concentrated in London. UK and international firms based there can sell their services across the EU. That could become more difficult after Brexit. Both examples illustrate why many have called for a transitional period to either give extra time for negotiation or to get used to any new arrangements. The government has signalled willingness to consider this, but has also said it is prepared to walk away from negotiations if it doesn't get the deal it wants. Business groups such as the CBI have warned against favouring some sectors over others in the negotiation, but the government has already shown it is prepared to go to considerable lengths to reassure carmakers such as Nissan. The other big worry is staff. Construction and agriculture are heavily dependent on EU labour. While the government has reassured businesses they will be able to hire the EU staff they need, it may prove hard to reassure every sector while hitting the political target of reducing the number of EU migrants. Nevertheless, many business leaders remain confident the mutual self-interest of EU and UK companies will prevail in the negotiations. Others, such as Sir James Dyson, of vacuum cleaner fame, welcome the new focus on fast growing markets beyond the EU that the triggering of Article 50 will prompt. In theory, it is in everyone's interests for the UK and the EU to maintain co-operation after Brexit on policing, law enforcement and security. Catching criminals, thwarting terrorism and safeguarding vulnerable people is important to us all. The terror attack at Westminster has served only to emphasise that. In practice, though, it will be hard to achieve the efficiency and effectiveness of the current arrangements. There is a consensus that the access Britain has to SIS II, Europol and the EAW is vital to the UK's crime-fighting capabilities. But the access is derived from the UK's membership of the EU, its adoption of an EU-wide data protection framework and compliance with rulings from the European Court of Justice. If the UK no longer signs up to the rules, why should it be allowed into the club? Of course, the EU may agree to give the UK some access to SIS II and other crime databases - much of the information generated comes from the UK and so they benefit too. There will undoubtedly still be a role to play for the UK at Europol - as other non-EU states, such as the USA, have. It may also be possible to broker country-to-country extradition deals or an overall treaty with the EU akin to the EAW. But this will all take time. And, as Britain enters negotiations, there is no guarantee it'll happen. Britain is the big spender on defence in Europe. It is one of a handful of countries meeting Nato's target of spending 2% of its gross domestic product (GDP) on defence, and one of only two nuclear powers within the EU. Some would argue that's a "security surplus" - and the UK should use it as a bargaining chip in the Brexit negotiations. In reality, the UK will have to pay a price. The post-Brexit vote exchange rate has already made the Ministry of Defence's shopping list for new military equipment significantly more expensive. Britain could also lose influence among allies. Though talk of a "European army" still seems fanciful, EU countries have already agreed to set up a small military command centre that could oversee small-scale operations. Outside the EU, Britain will not have a voice to block any moves towards further integration. Britain's defence industries might also suffer - from the loss of EU research grants and markets. But even out of the EU, Britain will remain a key member of Nato. The UK will also continue defence cooperation with France, based on bilateral agreements. The two not only spend the most on defence in Europe, they are also the most willing to use their armed forces. The most practical problem for UK defence would be if Brexit proved to be the catalyst for Scottish independence. The Royal Navy would have to find a new home for Britain's nuclear-armed submarines. Ministers might also have to rethink plans to build new warships on the Clyde. For the NHS, the issue in the Brexit talks that towers above all others is the status of health workers from around the European Union and the broader European Economic Area (EEA). The prime minister says rights of residency will form part of the negotiations and she does not want to reveal her hand now. NHS leaders, though, are anxious the issue is resolved as soon as possible to prevent uncertainty that might result in an outflow of doctors, nurses and care workers. They fear current recruitment problems could get worse. A survey of doctors from the EEA by the British Medical Association suggested four in 10 were considering moving out of the UK after Brexit, and another two in 10 were unsure whether to stay. The General Medical Council says about 11% of doctors registered in the UK - more than 30,000 - were trained in EEA countries. According to the Nuffield Trust think tank, the proportion of nurses and midwives from the European Union is slightly above 4% of the workforce and rising. For healthcare staff, however, the numbers from the rest of the world, presumably unconcerned by the Brexit talks, are higher than those from Europe. Medical research is another area with a lot at stake in the talks. Universities have warned doubts over residency status could deter academics from coming to the UK. And international pharmaceutical companies will take a keen interest in talks on the regulation of drug trials. Currently, there is an EU-wide playing field with a single regulator, the European Medicines Agency. Ministers say they want to negotiate a standardised approval process post-Brexit. If that does not happen, the UK would need to set up its own system for regulating drug trials. In a way that would have been unimaginable a couple of generations ago, many of the UK's universities are global institutions. Their staff, their students and their collaboration with other universities are more multinational than ever before. So you can boil down their anxieties about the triggering of Article 50 into two words, research and people. After the vote to leave in 2016, some immediate reassurance was put in place by ministers. That included a promise to honour existing tuition fee and loan obligations to EU students starting in 2017-18 made just a few days before the deadline for applications. Amidst the uncertainty, the number of students from EU states fell by 9% for some of the most competitive courses. No such guarantee is in place for 2018-19. Without it, EU students would face the same fees as international students, who come to the UK already in far greater numbers. The exception is Scotland, where ministers have recently extended the promise of no tuition fees to students starting courses the following year as well, 2018-19. The Treasury also promised soon after the vote to underwrite British research funded through the main EU programme, Horizon 2020. In the Budget, there was a little more money to support home-grown talent to pursue postgraduate research. None of this provides long-term certainty on what will happen to the research funding universities currently access through various European programmes, or the future of EU nationals currently working in UK universities. It's not impossible a deal can be done that allows UK academics to continue to bid for funding, and attract or retain research talent. A failure to do so would damage institutions ministers accept are an important contributor to economic growth and innovation. The future participation in the Erasmus+ programme, which sees young people from the UK get the chance to study or gain work experience in the EU and some other countries that participate in the programme, will also need to be resolved. Erasmus is not fundamentally about money, but something else universities value and fear is at risk. It places a value on the open exchange of culture, knowledge and experience across borders. 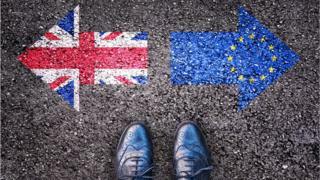 In the build-up to the referendum, Leave campaigners offered British science a bright future: the chance to shake off the EU's restrictions on developments such as genetic modification and to seek more exciting partnerships with the US and China. They also pointed out some very big organisations such as Cern and the European Space Agency were not part of the EU and the UK's membership of them would continue. But the scientific community was overwhelmingly in favour of remaining in the EU, and it will be watching the exit negotiations nervously. The EU has a massive pot for research, known as Horizon 2020, and British researchers have done well from it - getting more out than Britain pays in. Non-EU countries can share this bounty, but they have to contribute to it. So, Britain would have to keep writing cheques to Brussels and, if the talks turn sour, that may become politically difficult. The Horizon 2020 money comes with another condition: freedom of movement. The idea is to pull together the best scientists from across the European Union. So, for example, a British university might lure a top German professor who in turns hires a brilliant Italian who helps land a big research grant. The future of this free-flow of scientific talent is uncertain. UK scientists have seen how financial specialists may be allowed an exemption to keep entering the country, and they want the same kind of deal for science. Brexit could dramatically change the way Britain looks. The UK's fields, hedges, streams, wild flowers, birds and insects have been influenced by decades of EU farm grants. When the UK leaves, those grants will be revised - and the current system of handing farmers money for little more than owning land will stop after 2020. The appearance of the UK's future countryside will depend on whether the government favours wildlife-rich fields or a de-regulated farm sector competing on a global market. That could see lowlands more intensively farmed to the detriment of birds and insects, and much of the uplands left to scrub. That would save taxpayers money - but it would trigger fierce resistance. And it's not just the countryside. The government promised in its manifesto to leave the environment in a better condition than it inherited. EU rules have brought cleaner beaches and rivers - and this progress is unlikely to be reversed after Brexit. But some environmental laws might get weakened as ministers strive to minimise regulatory hassle for business. The government said it would copy and paste the 800 pieces of EU "green" legislation, but that's not simple. Environment, Food and Rural Affairs Secretary Andrea Leadsom admitted that about a third of environmental laws - including directives on birds and habitats - could not initially be brought into UK legislation. MPs fear ministers may use the process of adapting those laws to chip away environmental protections. That's because although the UK has often led Europe on climate change, it's often resisted other safeguards. On GM crops, chemicals and neonicotinoid pesticides, for instance, it doesn't share the EU principle of caution. The UK typically favours a more bullish attitude to benefit the economy. One big question will be how citizens will appeal if the UK government fails on its environmental targets - as it is now with air pollution. Currently, the European courts and Commission can beat ministers, but the big stick from Brussels will be no more. MPs say the way to safeguard the environment is to pass a new UK Environmental Protection Act during Brexit talks. It's all still a "big question", says George Eustice, the man responsible for UK agriculture and fishing. We are still none the wiser as to what will happen when the Common Agricultural Policy (CAP) and the Common Fisheries Policy (CFP) no longer exist. Will farmers still get subsidies? Will the fishing industry be able to catch more fish? It's a devolved issue - so will the nations have more control? A staggering 60% of farm incomes come from subsidies. This will be matched until 2020, but no-one knows what happens after that. Farmers loathe the CAP and its labyrinthine regulations. The hope is fewer rules will let businesses flourish. But who will pick the strawberries and apples? Seasonal workers could well stop coming if they have to fill out lots of forms to be allowed in. Farmers are also nervous about trade deals being struck with food-producing countries where labour is cheap and animal-welfare and environmental standards are lower. And there is the prospect of having to pay tariffs to sell in to the single market. The fishing industry is desperate to be rid of the CFP and its fiendishly complex quota system: no-one wants to throw dead fish overboard. The aim of the CFP was to manage a common resource, and some fish stocks, such as cod, have been recovering. It also pressures governments to pay attention to environmental and social factors when handing out rights. As for fishing rights, post-Brexit, the UK nations will still have to negotiate quotas and somehow police the marine territory. Farmers and people who work in the fishing industry are waiting for some - any - answers. How will Brussels react to Article 50 being triggered? Article 50: Is Whitehall ready for Brexit?